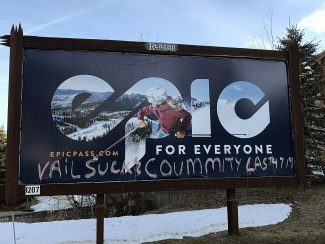 Unfortunately, the new Park City School Board has been criticized by a few members of the community. Some have even called it dysfunctional. Nothing could be further from the truth. On the contrary, it is well on its way to getting the Park City School District back on track following the first ever failure of a school bond in 2015. 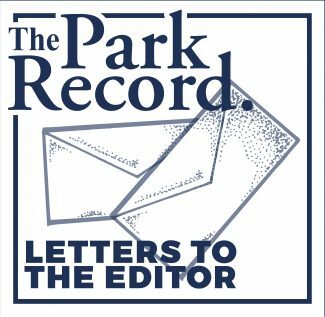 I have attended many PCSB meetings over the last two and a half years and I am confident the current board has turned things around and is on the right path to regain the trust of the Park City community. This is a dedicated, intelligent group of citizens that do their homework and listen to the community and the teachers. In a letter to the editor, several teachers thanked the new school board for “giving them a voice”. The new school board recently updated the Strategic Plan after asking the community for ideas at several public meetings. Our community is fortunate to have such a qualified school board. Once they have hired a new superintendent the team will be complete. There will be plenty of opportunities for the community to participate as our school board plans for the future. This is the time for us to speak up so that when the next school bond appears we can all vote yes. Our kids deserve the best. Go Miners! February 14th marks the beginning of Lent, the 40-day period before Easter, when Christians abstain from animal foods in remembrance of Jesus’ 40 days of fasting in the wilderness. The call to abstain from eating animals is as current as the teaching of evangelical leader Franklin Graham, yet as traditional as the Bible (Genesis 1:29). Methodist founder John Wesley, Salvation Army pioneers William and Catherine Booth, and Seventh-day Adventist Church founder Ellen G. White all followed this higher call. A meat-free diet is not just about Christian devotion. Dozens of medical studies have linked consumption of animal products with elevated risk of heart failure, stroke, cancer, and other killer diseases. A United Nations report named meat production as the largest source of greenhouse gases and water pollution. Undercover investigations have documented farm animals routinely caged, crowded, mutilated, and beaten. Today’s supermarkets are well in tune with the call to abstain from eating animals. They offer a rich array of plant-based meats, milks, cheeses, and ice creams, as well as the more traditional vegetables, fruits, and grains. Entering “vegetarian” or “vegan” in your favorite search engine provides lots of meat replacement products, recipes, and transition tips. I am dismayed that UDOT actually wants to put a berm/wall reaching 20 feet in height in some areas, on I-80 westbound approximately 3,200 feet in length. I understand that those people who voted in favor of a wall would like peace & quiet. That can be achieved WITHOUT a huge ugly wall, in a way to benefit everyone who hears ANY highway nose. I was in Arizona last week and drove on roads that were remarkably quiet. I got information on their road surfacing, which was given to UDOT. UDOT indicated that if they could work with the voters on this project, maybe something other than a wall would work. Noise on I-80 is a genuine concern for ALL residents of Jeremy Ranch. An effective way to reduce road noise is to choose an appropriate asphalt-based mix that incorporates both durability and noise dampening characteristics. A dense-graded asphalt mix results in a quieter surface. This type of mixture can reduce road noise by as much as 8 db. This is a much greater reduction of noise than a noise wall, according to UDOT’s own noise study. The asphalt industry continues to research and develop pavements that are quiet for drivers, neighborhoods and businesses adjacent to busy roads. These surfaces are currently being used in Arizona and other states as well as countries in Europe and Australia. Our technology in road surfaces, electric vehicles, self-driving cars, etc. will have a much greater effect on road noise than a wall. But the wall will continue long after road surfacing has elevated beyond today’s scope. I would ask the people who voted in favor of a wall, to explore this option with UDOT so ALL of us would hear less noise and not have to look at a huge wall. The Summit Land Conservancy has done extraordinary work in securing federal funds to get us to this goal – but they must receive matching funds of $200,000 by February 28th in order for the effort to continue. We urge everyone to do your part in saving these important 158 acres of open space by donating today at http://wesaveland.org/osguthorpe/. We also ask you to strongly encourage the Summit County Council to use existing BOSAC bond money (which was expressively dedicated to fund open space purchases) to save the Osguthorpe Farm.